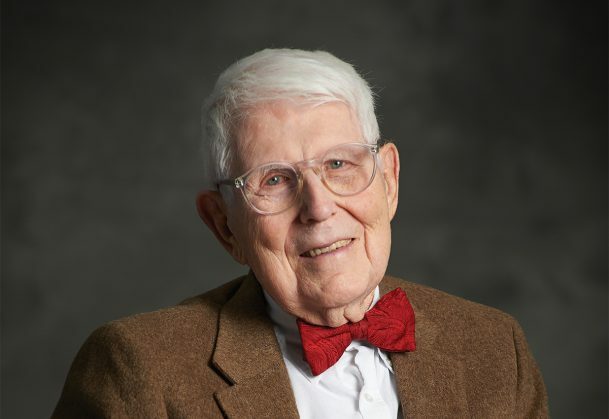 Cognitive science pioneer Aaron Beck revolutionized the scientific investigation of depression, and his subsequent research has elucidated biological mechanisms that underpin some cognitive features of the disorder. 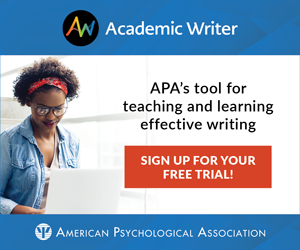 In a new article published in Clinical Psychological Science, Beck and colleague Keith Bredemeier of the University of Pennsylvania aim to integrate these findings to produce a coherent and comprehensive theoretical account of depression. 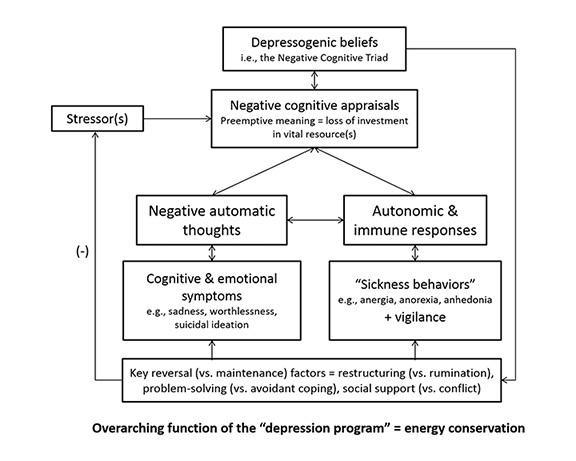 With their unified model, Beck, an APS James McKeen Cattell Fellow, and Bredemeier draw on findings spanning various levels of analysis and multiple disciplines — including clinical, cognitive, biological, and evolutionary approaches — to provide a broad framework that accounts for the symptomatology of depression and its natural course, from predisposition to recovery. “All of the findings related to depression can be joined together to provide a comprehensive model of the disorder that explains its puzzling features,” they write. The unified model is based on the premise that depression represents an adaptation to the perceived loss of essential human resources that provide access to the necessities of life — including the loss of a family member, a romantic partner, or a peer group. To individuals who are at greater risk for severe depression because of specific genetic or environmental factors, this loss is more likely to be viewed as devastating and insurmountable. Heightened reactivity to stress and entrenched cognitive biases lead these at-risk individuals to espouse negative beliefs about the self, the world, and the future — a combination that Beck has termed the “negative cognitive triad.” When activated (e.g., by stressful life events), these beliefs trigger consistent emotions, such as sadness, anhedonia, and guilt, as well as behavioral and physiological responses, such as withdrawal, inactivity, and loss of appetite. The overarching function of this so-called “depression program,” the researchers say, is to promote the conservation of energy in the face of the perceived loss of resources. Over time, the depression program reinforces the negative beliefs that put the individuals at risk for depression in the first place. Importantly, it can be stopped when the vital resources are restored, either because new information emerges that “corrects” the negative biases or because the situation itself changes. External factors such as support from friends and family, guidance from a psychotherapist, and biological treatment (e.g., medication) can aid in stopping the cycle of depression. “Our model suggests that any intervention that targets key predisposing, precipitating, or resilience factors can reduce risk or alleviate symptoms,” Beck and Bredemeier explain. The researchers note that their unified model of depression is tentative, and they are hoping that scientists will systematically evaluate and refine the model based on new findings. “We hope that this model will motivate further development of new (and more integrative) approaches for treating or preventing depression,” they write. Aaron Beck has pioneered the way we view and attempt to understand the nature of the depressive disorder and how to approach its treatment through behavioral and cognitive methodology. 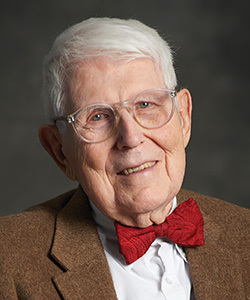 He has guided psychological theory from its overly Freudian emphasis to a simpler model capable of being evaluated scientifically, so that the field can progress in its integration of the major psychological and behavioral elements. In proposing a new integrative theory based on decades of clinical and research experience, he and Bredemeier make a major contribution to resolving the role of the various elements of this disorder and hopefully demonstrate new pathways to its treatment. The piece presented in the Observer, however, only outlines the new proposal. To judge its overall impact on the field awaits a more detailed presentation of the new theory and the supporting evidence. There are, for example, concerns about whether Beck has fully integrated what we have learned about the disorder since the 1950’s when drugs were first introduced as treatments. The most impactful development at that time was the discovery that upwards to one third of severely and chronically depressed patients, were not only improved clinically, but left free of symptoms and approaching a pre-depressed” normal” state. That in itself was remarkable but it also opened new ways of thinking about the roots of the disorder, i.e., that the chemistry of the nervous system was substantially involved with creating and maintaining the illness. Many in the field of psychopharmacology conditioned to considering depression as a primarily, psychological disorder, were reluctant to accept these new findings. However, decades of research on the interaction of psychological and neurochemical factors have convinced most in the field that a theory of depression that does not find behavioral-biological interaction playing a major role in the disorder can be truly “integrative”. I believe that Beck’s theory relegates biological factors to a minor status in the configuration of causes, thus, undermining his major thesis and makes more difficult progress toward understanding the nature and structure of the disorder. It is important to begin the analysis of the nature of the disorder by understanding why the drugs were able to restore the pre-depressed “normal” state. We attempted to accomplish that in our work by beginning with an empirical investigation of its behavioral and neurochemical elements, and how they interact. The theory presented in a recent book (Katz 2013) elaborates on the one hand, the behavioral, cognitive, cognitive and psychomotor elements, the components of the disorder based on the phenomenologic studies of Grinker et al 1961, Kendell 1968, Katz 2013) and on the other, their associations with the functioning of central neurotransmitter systems shown to be directly acted on by antidepressant drugs (Morilak, Frazer 2004). Those studies revealed specific associations , e.g., between the neurotransmitter serotonin and anxiety and anger, norepinephrine with arousal and depressed mood. The findings point to a new way of viewing the behavioral and emotional structure of depression, i.e., in neurobehavioral terms. It identifies opposed emotional states, the”excited”, negatively aroused state of anxiety and feelings of anger, and the opposed “down” state of motor retardation and mood, as occurring concurrently, thereby, creating a general state of turmoil and suffering for the afflicted patient. This new theory of “opposed neurobehavioral states” does not speak to causes, “triggers”, but only to the nature of the disorder, the affliction that the treater must confront. Thus, it would not run counter to Beck’s theory about the psychological content that instigates or maintains the disorder. But it would alert investigators to the more complicated interaction of behavioral and neurochemical factors that underlie the affliction. It would reintroduce the major role that biology plays in this complex disorder and broaden the path to its understanding and the potential roles of the various treatments, cognitive-behavioral, neurochemical and brain stimulatory in stemming and completely resolving it. If Beck and colleague aim to create a truly integrative theory they will have to find a place for these major developments in the neuropsychopharmacologic science of depression alongside his pioneering contribution to the psychology of depression. Katz, M.M. (2013) Depression and drugs: The neurobehavioral structure of a psychological storm. New York: Springer. Grinker, R., Miller J., Sabshin M., Nunn R., Nunnally J.C. (1961) The phenomena of depression. New York: Hoeber. Kendell R.E. (1968) The classification of depressive Illnesses. London:Oxford University Press. Morilak D. & Frazer A. (2004) Antidepressant brain monoaminergic systems: A dimensional approach to understanding their effects in depression and anxiety disorders. International Journal of Neuropsychopharmacology. 7,193-218. Certainly agree with Katz(and many others ) that there is a powerful normalization produced by psychopharmacological agents, such as the SSRIs and TCAs, in a substantial proportion of depressives. Another substantial proportion respond to ECT and another to MAOIs. They are not the same people as simply shown by the frequent finding that a failure on one sort of Rx may do well on another. Given those facts doesn’t the declaration of a unified model appear premature ?Maybe it’s several different processes with overlapping superficial manifestations.. That Beck is treated with reverence for making a rational break with the Psychoanalytic cult is supportable. But that CBT was a theoretical and therapeutic break through has to deal with CBT failures. In every (8 at last count) randomized, clinical trial of of depressive treatment, that enables a comparison of pill placebo with CBT, no outcome difference has ever been found. Finally,one aspect of evolutionary, fact free, glib analogizing is that something dysfunctional today is just a genetic hangover from the Neolithic. So psychopaths are really warriors, the obese deal with frequent famines etc. However Beck dispenses withglib analogizing by stating , “Clinical features of severe depression (e.g., anhedonia, anergia) result from these appraisals and biological reactions that they trigger (e.g., autonomic, immune, neurochemical). These symptoms were presumably adaptive in our evolutionary history, but are maladaptive in contemporary times. ” Presumably adaptive is a wonderful phrase that neatly slips by. It means buying that sort of evolutionary story without making even a try for plausibility.